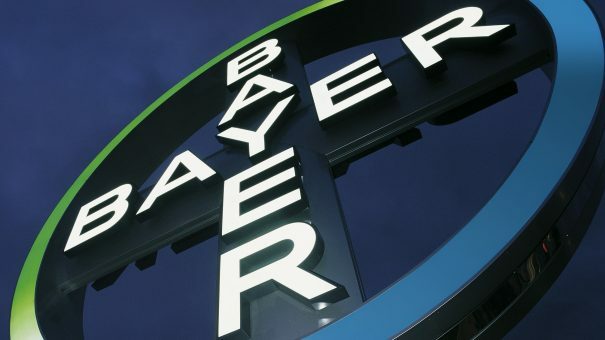 The departure of its head of research and the unblinding of a cancer drug trial wrongfooted Bayer late last week, just as the firm wanted to trumpet its broad pipeline. Bayer is also trying to convince regulators and investors about its pending agri-business mega-merger – but does look to be in a strong position with growing cardiovascular and oncology franchises. 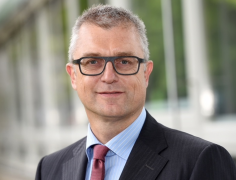 On Thursday, it announced that Andreas Busch, its head of drug discovery was leaving, and that Joerg Moeller, head of development leader would take over as overall R&D leader from January. It was apparent that this move had been forced upon it, as the company had only recently announced a standalone oncology drug development unit, but had decided that this would be merged into the wider R&D division. A day later it emerged that Andreas Busch had departed for the vacant role of R&D head of Shire, to work on its rare disease-led pipeline. Bayer also had announced on Thursday that it had unblinded a phase 3 trial combining its prostate cancer treatment Xofigo with Janssen’ Zytiga (abiraterone acetate) and prednisone/prednisolone because of safety concerns. This had been recommended by the Independent Data Monitoring Committee (IDMC) because of an “imbalance” of more fractures and deaths in the treatment arm which combined these drugs in patients with asymptomatic or mildly symptomatic chemotherapy-naïve metastatic castration-resistant prostate cancer (mCRPC). The company says it will analyse the results and continue monitoring as per study protocol. It stressed that data from other studies of combination had not shown new safety signals. There is, however, no suggestion yet that the trials will have to be halted, and the combination might still have a role in the fast-evolving prostate cancer therapy. The reorganisation coincides with US approval of a controversial $63.5 billion mega-merger with Monsanto. Critics say the merged company will have an overly-dominant position in the pesticide and seed markets, and the European Commission is still reviewing the plan, and is expected to announce its ruling in January. Many investors also have to still be convinced that the deal will generate synergies and profits for the firm. However in its pharma division, Bayer has recently secured two promising deals. It recently unveiled major drug licensing partnerships: one with Loxo Oncology and another with PeptiDream. Loxo’s TRK inhibitor larotrectinib gained a coveted FDA Breakthrough Therapy Designation last year for the treatment of unresectable or metastatic solid tumours with NTRK-fusion proteins. Bayer is looking to make its name in cancer with four novel platforms: oncogenic signalling, antibody-drug conjugates, targeted thorium conjugates (TTCs) and immuno-oncology. Of central importance to the Leverkusen-headquartered firm are its plans to expand the use its oral anticoagulant blockbuster Xarelto into coronary artery disease (CAD) and peripheral artery disease (PAD). 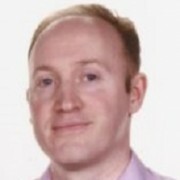 The drug has been submitted to the EMA based on results of the phase 3 COMPASS study, which showed that the vascular dose of rivaroxaban (2.5 mg twice daily) plus aspirin 100 mg once daily reduced the risk of the composite outcome of stroke, cardiovascular death and heart attack by an unprecedented 24% (relative risk reduction) compared with aspirin 100 mg once daily alone in patients with CAD or PAD. A filing in the US is expected by the end of 2017. Despite these results, not all cardiologists have been impressed with the study, and Bayer may not see a large-scale adoption in this setting. Bayer is developing a next generation of anti-coagulants including Factor XI (FXI) approaches, and has two agents in development for heart failure. In gynaecology, it has no fewer than six candidates in clinical development for uterine fibroids and endometriosis. Despite the promise of its 50 pipeline projects, Bayer has suffered R&D setbacks recently, such as the failure of a combination therapy for age-related macular degeneration (AMD) with Regeneron and with Nektar, disappointment in a drug-device therapy for pneumonia in ventilated patients.